DL News 2015/8 is here and the index to earlier editions is here. An article on the consequences of the exponential rise in streaming and consequent decline in downloading is chiefly relevant to the popular music market but I’ve included a link to it here. More important news for lovers of classical music is that one of those streaming sites, Naxos Music Library, has added recordings from the Universal Classics stable: Decca, including some ex-Philips recordings, DG and ASV. It would be better still if Naxos could negotiate adding those labels to their new classicsonlinehd.com for streaming in lossless sound. The Outhere group, who have produced some very fine recordings of baroque music, have just reissued at budget price fourteen competitive albums, some of them 2-CD sets, from their Alpha and Zig Zag Territoires labels. Though they come at an attractive price, the booklets have not been skimped and the recordings – all of fairly recent provenance – are good. I’m pleased to note that Outhere are now offering their press previews at a higher bit-rate, raised from 192kb/s to 256kb/s – next, perhaps, we can have 320kb/s? My only complaint is that whereas the Alpha originals offered artwork contemporary with the music, we now have garish modern covers instead. Extracts from several of these recordings also feature on a 4-disc Outhere sampler – from Qobuz. I’ve given download links, where available, but they are likely to represent a small saving on the CDs except where indicated. I’ve listed them all but I haven’t yet listened to all of them – I hope to cover some more next month. These recordings have until now been available only individually, spread across Café Zimmermann’s six CDs of Bach’s orchestral works, alongside his concertos and the four Orchestral Suites. Fine as those recordings are and welcomed as they have been by me and other colleagues – e.g. August 2011/1 – it’s convenient to have them gathered together now. Though the two CDs are rather short value, it looks as if they will be offered for the price of one – around £8 the pair. These small-scale performances will not be to all tastes but they provide an interesting alternative, revealing details which are sometimes obscured in other hands. 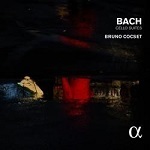 I’m not the best judge of the Bach Cello Suites, which I find too cerebral – a charge from which I gladly exonerate almost all of the rest of his output – so I’ll merely point out that when this recording was first released one reviewer thought the performances often too mannered and another that they were quirkily personal. As the 2-CD set sells for the price of one – around £8 – I can’t recommend the eclassical download which, at $23.07, takes no cognisance of that. 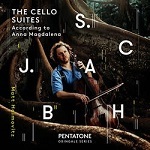 Aficionados of the Cello Suites may, however, wish to note yet another recording, on cello and piccolo cello, from the manuscript in the hand of Anna Magdalena Bach from Matt Haimovitz on PENTATONE PTC5186555 – sample, stream (for subscribers) or download in 16- or 24-bit lossless, with pdf booklet, from Qobuz: at £11.99/£17.99 (16- and 24-bit respectively) that’s less expensive than from eclassical.com ($24.11/$36.16), certainly for UK purchasers. Please see also Brief Reviews (below) for another version of the Cello Suites coupled with the Sonatas for gamba and keyboard. These very fine performances have come up against some very stiff competition since they were released in 2008, so their reissue at an attractive price is very welcome. The 6-CD set and book which includes these performances, reviewed by Kirk McElhearn, is also worth considering. Eclassical.com still offer the original album (Alpha 130) in mp3 and lossless, at about the same price as the reissue on CD but without texts. Qobuz offer the reissue for £4.79 and with the pdf booklet. In addition to the Goldberg Variations, BWV988, performed by Céline Frisch on the harpsichord, a second short bonus disc offers the much less familiar Goldberg Canons, BWV1087, from Café Zimmermann and two of the original folksongs which Bach employed, sung by Dominique Visse (counter-tenor). This is the first volume of a programme which was originally released on two CDs. Eclassical.com have the second volume – ALPHA146. The music, written for C.P.E’s flute-playing patron, Frederick the Great, may not be his greatest achievement but the performances make the strongest possible case for it. As Dominy Clements writes, this is a must-have for C.P.E. 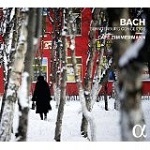 Bach fans - review. These performances of the Flute Concertos together with the Trios and Sonatas for flute are also available on a 3-CD set, ALPHA821 – review. With the CDs on sale for around £19, the eclassical.com download is somewhat expensive at $38.41 and even the Qobuz download won’t save you much. Stylish performances of familiar (Greensleeves, Sellengers Rounde and Dowland’s Lachrymæ) and unfamiliar music by Anthony Holborne (?-1602) and contemporaries. The original release (Alpha 081) remains available from eclassical.com, without booklet, for about the same price as the reissued CD but Qobuz offer the reissue for £3.83, with booklet. A competitive performance of several Monteverdi madrigals, including the dramatic scena Il Combattimento di Tancredi e Clorinda would not have been enough for an unreserved recommendation in view of the strong competition: to name but three, from Hyperion (Red Byrd, etc, CDH55165 and Arcangelo, CDA68019) and Naïve (Rinaldo Alessandrini – incredibly the wonderful 3-CD set of the whole of Book VIII seems to have been deleted but should be snapped up from Qobuz, where the lossless download costs just £7.99, albeit without booklet). The USP of the Alpha reissue is the inclusion of music by Monteverdi’s younger contemporary: Marazzoli’s La Fiera di Farfa is not just dramatic, it’s also a comic parody of the Monteverdi. Full details from Dave Billinge’s review. I’m surprised that the finished product comes without text: the booklet which came with my press preview had them – in fact it’s identical with the link which DBi gives. 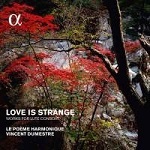 Alpha 308: PERGOLESI Stabat Mater, Marian music from Naples - Le Poème harmonique/Vincent Dumestre [59:50] – stream (sample for non-subscribers) or download in lossless sound, with pdf booklet (£3.83) from Qobuz. This is an attractive reissue, especially if you like to hear the Pergolesi in the context of other settings of the Stabat Mater and other music performed in Naples in Holy Week, but the performance of the main work yields to several other recordings, some equally inexpensive. Please see my review for full details. The original release on Zig Zag Territoires was a 4-CD set. The chief loss is in the form of the Pièces de clavecin en concerts, which I hope may appear separately as the 4-CD set is no longer available in the UK, though it can be downloaded from Qobuz for £15.99, who offer the new reissue – here – for £4.79, pretty good value for a 2-CD set with booklet. There are alternatives for the Pièces en concerts, three of which you will find in DL News 2014/12. Like Montanari (below), Valentini was a follower of Corelli and his Concerti Grossi are recognisably in the style of the master, though also well worth hearing in their own right in these stylish and powerful performances, excerpted from a 2-CD set on the Zig-Zag label. The same selection also appeared on a single Zig-Zag CD and received justifiably high praise from Jonathan Rohr – review. At its new price – just £4.79 from Qobuz, with booklet – it’s irresistible. I hope that Dominy Clements’ plea for a complete set of Op.7 – review – doesn’t fall on deaf ears and that Alpha will give us the rest of that Zig-Zag release soon. Stream (Sample for non-subscribers) or download from Qobuz. For civilised and stylish performances of these works you need look no further unless you must have the whole of Op.3, which is by no means a bad aspiration. Please see my full review. A (very) good performance of the Four Seasons, though it doesn’t quite challenge any of the top recommendations: among those listed in MWI Recommends my own favourites are Fabio Biondi for period performance (Virgin/Erato) and Alan Loveday and Neville Marriner (Decca) for modern instruments played with a sense of period style. This 1998 recording has been somewhat outshone by a more recent entrant from the Outhere stable, from Marco Ceccato and Accademia Ottoboni, though with a slightly different programme (RV39-43 and RV46, Zig-Zag Territoires ZZT338 – review – from Qobuz, 16- and 24-bit, with pdf booklet). Ideally you need both in order to cover the repertoire, which is just a little too much for one CD. If you bought the Decca Baroque Era set complete or just Volume 2 as a download*, you already have Christophe Coin’s recording of RV44. If you are looking for a budget set of more than half of these sonatas the Alpha reissue will do nicely. If anything the performances are a touch more dramatic than Ceccato’s. It’s £4.79 in lossless quality and with pdf booklet from Qobuz. For the most complete set available, however, RV39-47, try David Watkin and members of the King’s Consort on Hyperion Dyad CDD22065, 2 CDs for the price of one – £8.99** from hyperion-records.co.uk, mp3 and lossless, with pdf booklet:Record of the Month – review – DL Roundup October 2010. The reissue comes with an interview from March 2015 in which Bruno Cocset is asked if he would do things differently now. The answer is affirmative but mainly because he no longer owns the same cello and the membership of Les Basses Réunies has changed. More enlightening is his defence of the use of gut strings. * still excellent value at £11.56 for 25 CDs from Qobuz. ** don’t click the iTunes link and find yourself paying more (£15.99 or $19.99) for lower quality transfers. The Cantigas de Santa Maria are a collection of songs in honour of the Virgin Mary, compiled at the court of and possibly at least partly by King Alfonso, known as el Sabio for his wise and tolerant rule. Though his kingdom was León and Castile, the texts are in the North-Eastern Spanish dialect, Gallego, closer to Portuguese than to standard Castilian Spanish. From over 400 cantigas there are or have been several single-disc selections, eighteen on this new PHI album, one of the best known of which, Rosa das rosas, is offered first in instrumental form and later in the sung version. Four other cantigas are performed instrumentally. The performers are Hana Blažíková (soprano, Gothic harp, Romanesque harp and musical direction), Barbora Kabátková (soprano, Gothic harp and psaltery), Margit Übellacker (dulce melos) and Martin Novák (percussion). (PHI LPH017 [72:32] – from eclassical.com, mp3, 16- and 24-bit lossless, with pdf booklet containing texts and translations). I’m not surprised to see that Gary Higginson made this a Recording of the Month. Recordings of the Cantigas don’t always seem to last long in the catalogue, which is a great pity because the music is beautiful and doesn’t make as many demands on the modern listener as some other medieval works. Some time ago I recommended a Nimbus recording performed by the Martin Best Ensemble (NI5081 – review), though I thought that the beginner might prefer to start with an inexpensive and well performed Naxos recording, on which there are fewer sung items and more instrumental interludes (Ensemble Unicorn, NAXOS 8.553153). Both are still available. You may wish to look at that review, which contains some information about the Cantigas which it would be superfluous to repeat. I had been listening to the Outhere group press preview of this recording for some time before the 24-bit lossless version was released by eclassical.com. Though that press version was only at 256 kb/s, I had already decided that both performance and recording were enjoyable and recommendable, but the 24-bit represents a considerable improvement. As the three albums contain different selections, albeit with some overlap, you really need them all – and perhaps also the Paniagua recording on Pneuma, if you can find it: DL Roundup March 2009. There’s another, older recording, made by Alla Francesca for Naïve/Opus 111 (OP30308 – from eclassical.com, mp3 and lossless, NO booklet). These are award-winning performances but the lack of a booklet constitutes a problem, though the texts of all the Cantigas are available online. This recording, subtitled Marvels of Medieval Venice: Music for the Doges 1330-1430 (Arcana A387 [56:58]), which I recommended with some small reservations in DL News 2015/6 is now available from eclassical.com in mp3, 16- and 24-bit lossless, complete with pdf booklet and, in a much better transfer than the 192kbs mp3 press preview, the performances by La Reverdie are even more enjoyable. Try it from Qobuz first: subscribers can stream, others can sample, but you should find the eclassical.com download slightly less expensive at current $/£ exchange rates. 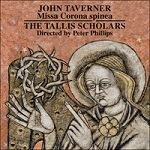 Missa Corona spinea and Dum transisset Sabbatum I and II performed by The Tallis Scholars/Peter Phillips (GIMELL CDGIM046 [62:07]) is one recording which will assuredly be receiving a more detailed recording just before it appears on 30 October 2015. It will be available from Gimell and Hyperion in mp3, 16- and 24-bit versions, with pdf booklet, and additionally on CD from Gimell and dealers. I’m not letting too many cats out of bags if I say that it’s well up to the very high standard of earlier Gimell releases and strong competition for existing recordings by The Sixteen (Hyperion CDH55051 or inThe Golden Age of Polyphony, CDS44401/10: Bargain of the Month – review – review), St Mary’s, Edinburgh (DELPHIAN DCD34023: Recording of the Month – review – review) and Christ Church, Oxford (ASV CDGAU115). 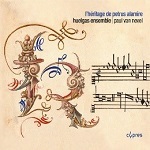 L’Héritage de Petrus Alamire is a 75-minute selection of music performed by the Huelgas Ensemble/Paul van Nevel from the collections made by Peter Alamire, one of which he presented to Henry VIII, for whom he also doubled as a spy. I would have preferred complete Mass settings but instead we have the Sanctus and Agnus Dei from Masses by an anonymous composer (the 6-part Missa N’avez point veu), Nicolas Champion (Missa de Sancta Maria Magdalena),Johannes Sticheler (Missa Se j’avoie porpoin de veleur), Robert de Fevin (Missa Supra la sol fa mi re), Maturin Forestier (5-part Missa supra baises-moy) and – the only familiar composer – Josquin Desprez (Missa malheur me bat). It’s available inexpensively from emusic.com (mp3, NO booklet) and to stream or download from Qobuz, who have the booklet but trying to open it caused the page to crash several times, so I can’t give you more information. The other works are not otherwise available, so it’s superfluous to point to my preference for the superb performance by The Tallis Scholars of the complete Josquin Mass (with Missa fortuna desperata, GIMELL CDGIM042 – review – review – or more economically on Sacred Music in the Renaissance 3, GIMBX303, 4 CDs for around £16: Bargain of the Month – review – DL Roundup December 2010). That’s comparing the very good with the best; otherwise the Huelgas Ensemble give some very satisfying performances here and the mp3 sound from emusic.com is more than adequate, now that they have changed to 320kbs all round. 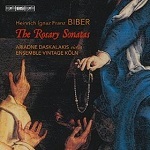 Three new recordings have followed hard on each other’s heels.1 A recent BIS release contains what I was inclined to regard as my benchmark recording of Biber’s Rosenkranz, Rosary or Mystery Sonatas (BIS-SACD-2096). I reviewed this recording by Ariadne Daskalakis (violin) and Ensemble Vintage Köln from the 2-SACD set but the 24-bit download from eclassical.com should be comparable to the SACD stereo layer – full review. Two other versions have also appeared and, as it happens, their virtues are complementary to the BIS recording. Rachel Podger has already given us a very fine account of the solo sonata which concludes the Rosary Sonatas: the so-called Guardian Angel gave its name to her recent collection of music by Bach and others on CHANNEL CLASSICS CCSSA35513. Now that recording has been added to her performance of the other sonatas, with a distinguished group of other musicians (CCSSA37315). I downloaded the 16-bit version of the performance from Qobuz while it was on pre-release offer at an attractive price and I’ve placed a bid for the SACD in the next batch of discs for review, so I may have more to say on the main MusicWeb pages. For the moment I’ll simply say that Podger and her team exemplify a superbly played version for those who prefer a cooler, more thoughtful approach. 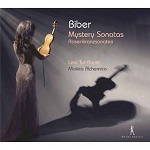 I originally planned to include some other recommendations of Biber’s music in the review of the BIS, but decided that it would be less confusing to reserve them for this Download News. Some I have mentioned before and I give links where appropriate, but others I haven’t referred to before. Mensa Sonora is a collection of much lighter music than the Rosenkranz Sonatas but equally well crafted. With the Sonata in A for violin, violone and harpsichord it’s very well performed by the Purcell Quartet and Jane Rogers (viola) on CHANDOS CHAN0748 [58:55] – from theclassicalshop.net, mp3, 16- and 24-bit lossless, with pdf booklet. The cumbersome-looking Latin title Sonatæ tam aris, quam aulis servientes simply indicates music suitable for sacred and secular use. There are five current recordings of the complete set of twelve sonatas, among which the budget set on Hyperion Helios stands out for price and quality. (CDH55041 [58:34] – from hyperion-records.co.uk, mp3 and lossless, with pdf booklet). Otherwise there’s little to choose between that recording and its rival from the Purcell Quartet on Chandos CHAN0591 [65:34] – from theclassicalshop.net, mp3 and lossless, with pdf booklet. 1 Yet another version, which I missed earlier this year, is listed in Brief Reviews below. Here’s a new name for lovers of Corelli to add to their list. 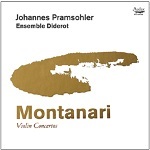 Montanari's Violin Concertos are redolent of his great predecessor but very enjoyable, all but one of the six in premiere recordings, from period performers Ensemble Diderot/Johannes Pramsohler (violin). My full review may have appeared on MusicWeb by the time that you read this; if not, the short message is that I urge you to give it a try. 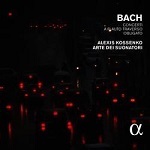 (AUDAX ADX13704 [59:47] – from eclassical.com, mp3, 16- and 24-bit lossless, with pdf booklet). One of these concertos was composed for Pisendel in Dresden. 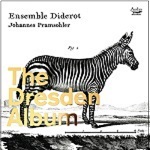 The same performers also offer a most enjoyable – perhaps even more enjoyable – collection of trio sonatas composed for the same city by HANDEL, TUMA, FASCH and FUX (The Dresden Album: AUDAX ADX13701 [62:59] – from eclassical.com, mp3, 16- and 24-bit lossless, with pdf booklet). The zebra on the cover strikes the only rather odd note. Vivaldi also composed concertos for Pisendel to perform in Dresden. 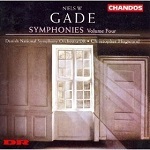 There are four CDs of these on Naxos as well as a Naïve/Opus 111 recording. There’s also an Alpha recording which Johan van Veen made a Recording of the Month: Concerti per l’Orchestra di Dresda, containing RV562, 568, with an alternative movement, 569, 571 and 574, performed in 2012 by Les Ambassadeurs/Alexis Kossenko (ALPHA109 [65:59] – from eclassical.com, mp3, 16- and 24-bit lossless, with pdf booklet). It’s subtitled Volume 1 but to my knowledge there has not, unfortunately, been a successor. There’s also a collection of Dresden Sonatas performed by Fabio Biondi and Rinaldo Alessandrini (NAIVE OP30154 [55:47] – from eclassical.com, mp3 and lossless). I reviewed that in DL News 2013/13 along with another, less recommendable, Estonian recording. 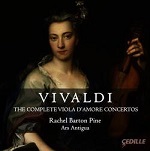 A new recording of Vivaldi’s complete concertos for viola d’amore, RV97 and RV392-7 performed by Rachel Burton Pine (viola d’amore) and Arts Antigua (CEDILLE CDR90000159 [78:21] – from eclassical.com, mp3, 16- and 24-bit lossless, NO booklet) competes with an older recording from Catherine Mackintosh and the Orchestra of the Age of Enlightenment (HYPERION HELIOS CDH55178 – from hyperion-records.co.uk, mp3 and lossless, with pdf booklet). There’s little to choose between them except that the booklet comes with the Hyperion. To the six concertos on Hyperion the new recording adds the Concerto for viola d’amore and lute, with Hopkinson Smith the extra soloist. 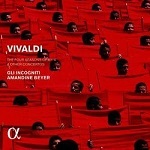 That extra work, RV540, appears on another Hyperion recording of Vivaldi’s music for lute and mandolin (CDA30027 – from hyperion-records.co.uk, mp3 and lossless, with pdf booklet – October 2010) and on a similar mid-price Warner Teldec album from Il Giardino Armonico (2564698542). Having completed their series of recordings of the sacred cantatas, to well-nigh universal acclaim – the only disappointment is that there are no more to come – Masaaki Suzuki and his Bach Collegium Japan are now onto their fifth volume of the secular cantatas, with two Birthday Cantatas for the Prince-Elector and the Queen respectively. Nos. 213 – Lasst uns sorgen, last uns wachen1– and 214 – Tönet, ihr Pauken – may be less frequently performed than the immensely enjoyable Nos. 211, the ‘Peasant’ Cantata and 212, the ‘Coffee’ Cantata, but they are both attractive. (BIS-2161 - from eclassical.com, mp3, 16- and 24-bit lossless, with pdf booklet). Even the large swathes of Bach cribbing from himself are appropriate to the new context – like Handel, Bach was never one to let a good tune go to waste. It’s even fun to spot the borrowings; in some cases it’s the other way around, with music later re-used in the Christmas Cantata. With an excellent line-up of soloists2 and first-rate recording, this is yet another credit for Suzuki and his team. The Bohemian composer Zelenka, who worked at the Dresden court, almost has the distinction of being the last musician in alphabetical order but his music is valuable for much more than that. A good place to start exploring would be a recording of his instrumental music by the Czech group Collegium 1704 on Supraphon, containing Overture à 7 concertanti in F, Sonata No. 3 in B flat, Concerto à 8 concertanti in G, ZWV186, Hipocondrie à 7 concertanti in A, ZWV187, Sinfonia à 8 concertanti in a minor ZWV189. The most remarkable music here is Hipocondrie (hypochondria) – no-one knows why the bizarre name. 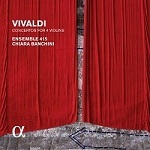 (SU38582 [67:39] – £6.30 from emusic.com). The variable bit-rate is not ideal but, at an average of around 226kbs, it’s not greatly inferior to what you might expect from Amazon UK where it’s available for £7.99 if you don’t subscribe to emusic. An alternative recording also featuring Hipocondrie, from Concentus Musicus Vienna conducted by Nikolaus Harnoncourt, is perhaps better played but short value even at budget price on Warner Teldec Das Alte Werk 2564697648 – nothing appears to have been added to the older CD which I own, running to just 47:05. Short playing time is also my only reservation in the case of a Linn recording of Zelenka’s instrumental music from Ensemble Marsyas (CKD415) which I reviewed both from SACD and as a 24-bit download – see also review by Dominy Clements. and there’s the Offficium defunctorum and Requiem on Accent (ACC24244) – also January 2012/1 Roundup. The Magnificat in D, ZWV108, the Christmas Mass, Missa Nativitatis Domini, ZWV8, and Dixit Dominus, ZWV68, have been recorded onGenuin GEN11213 and the Magnificats in C and D also feature alongside the Bach Magnificat in a recording by Masaaki Suzuki on BIS BIS-CD-1011 – see DL News 2013/16. Zelenka’s Te Deum is coupled with a Mass by his contemporary Heinichen on CARUS 83.148 – see DL News 2013/10. The eclassical.com download is still devoid of the booklet but otherwise highly recommendable. Qobuz don’t have the booklet for that, either, or for Zelenka’s Missa Dei Patris (CARUS 83.209) – here – but they do offer his Missa Votiva (also CARUS 83.223) – here – for sampling, streaming and download with booklet. 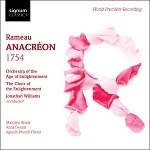 Much as I have enjoyed recordings of the suite from Anacréon (1754), the release of what is claimed as a world premiere recording of the complete opéra-ballet from the Choir and Orchestra of the Age of Enlightenment/Jonathan Williams is very welcome (SIGNUM SIGCD402 [50:16] – from hyperion-records.co.uk, mp3, 16- and 24-bit lossless, with pdf booklet). The download offers a real bargain, with prices from £5.99 (mp3 and 16-bit) to £9.00 (24-bit). The soloists are Anna Dennis (soprano), Agustin Prunell-Friend (tenor) and Matthew Brook (bass). I have just received the CD for review, so look out for a fuller review on the main pages. I’m not sure about the world premiere claim: there was an earlier recording by Les Musiciens du Louvre/Mark Minkowski (DG ARCHIV 4492112 – download only). There are two releases of baroque arias. The first follows the pattern established by several labels recently of concentrating on music associated with a particular singer, on this occasion Luigi Marchesi, billed as ‘the great castrato of the Napoleonic era’. Music by Giuseppe SARTI, Niccolò Antonio ZINGHARELLI, Johann Simon MAYR, Luigi CHERUBINI, Gaetano PUGNANI, Francesco BIANCHI, Domenico CIMAROSA and Josef MYSLIVECEK is sung by Ann Hallenberg (mezzo), assisted on two tracks by Francesca Cassinari (soprano), with Stile Galante/Stefano Aresi ( GLOSSA GCD923505 rec. 2015 [70:55] – from eclassical.com, mp3, 16- and 24-bit lossless, with pdf booklet, containing texts and translations). The picture on the cover is grotesquely pixelated but there’s nothing amiss with the performances: Ann Hallenberg stands out from a fine line-up of soloists on the Virgin recording of Handel’s Giove in Argo and she’s on equally fine form here. The recording comes in 24/48 form rather than 24/96 but sounds none the worse for that. My only reservation is that, as with all such recitals, 70 minutes of mezzo singing, with only a little soprano intervention, is perhaps too much at one sitting. The other is a 2-CD set of music by Francesco CAVALLI (1602-1676), entitled Heroines of the Venetian Baroque. Maria Flores (soprano), assisted in part by Anna Reinhold (mezzo), Marine Chaboud (soprano) and Igor Tchernov (countertenor), performs with support from Cappella Mediterranea and Clematis and their director Leonardo García Alarcón (harpsichord and organ). (RICERCAR RIC359 rec. 2014 [109:56] – from eclassical.com, mp3, 16- and 24-bit lossless, with pdf booklet containing texts and translations). Several of the arias and two of the instrumental sinfonias included are not otherwise available. The CDs come in a hardback book, the contents of which are provided with the download. 1 I downloaded that recording some time ago, meaning to review it, but didn’t do so because it contained three rogue tracks. It can be streamed from Naxos Music Library and sampled, streamed by subscribers, or downloaded in 16- or 24-bit lossless from Qobuz (both with 95-page pdf booklet containing texts and translations). Both have all the correct tracks: now that I’ve been able to hear the whole album, it’s every bit as good as Göran Forsling’s review says. I wouldn’t describe Philidor’s one-act opera Les Femmes Vengées as an essential purchase but I enjoyed the recent Naxos recording by Opera Lafayette and Ryan Brown a great deal more than I had expected – full review. Download from classicsonlinehd.com in mp3 and lossless, with pdf booklet. Philidor’s Le Mariage de la Grosse Cathos, directed by Paul Goodwin, is coupled with Lully’s Le Bourgeois Gentilhomme on Harmonia Mundi HMU907122 – [58:18] from eclassical.com (mp3 and lossless, NO booklet). The performers are Ewald Demeyere (harpsichord), Barthold Kuijken (transverse flute), Ann Cnop (viola) in the Bach and Piet Kuijken (fortepiano), Barthold Kuijken (transverse flute), Wieland Kuijken (cello) in the Haydn. (ACCENT ACC24293 [63:03 + 44:24] – from eclassical.com, mp3 and lossless, with pdf booklet). I fell in love with Die Schöpfung, Hob. XXI:2, when it was performed by semi-professionals and the school choir where I did my teaching practice way back in 1964 and it’s been one of my favourite works ever since. Parts I and II in particular are chock-full of wonderful tunes – splendid music to sing in the chorus. After hearing it I bought the Philips reissue of the Vanguard recording conducted by Mogens Wöldike1 – not bad but outshone by the very fine new recording on which it’s performed by Christina Landshamer (soprano) – Gabriel/Eva; Maximilian Schmitt (tenor) – Uriel; Rudolf Rosen (bass) – Raphael/Adam; Collegium Vocale Gent and Orchestre des Champs-Élysées/Philippe Herreweghe (PHI LPH018) – stream or download from Qobuz. Of the 80+ versions currently available, this has to be one of the best. I enjoyed it so much that I didn’t do any comparisons, though I hope to include Harry Christophers’ new recording in English with the Handel and Haydn Society of Boston (CORO COR16135) in the next edition, perhaps in comparison also with Colin Davis’ LSO account (LSO0628 – from Qobuz, but 16-bit only and not representing a great saving on the SACD) and Bernard Haitink (BR KLASSIK 900125: Recording of The Month  review  review  review: from eclassical.com (mp3 and lossless, with pdf booklet). Texts and translations are included with this new release, which employs the same forces as Herreweghe’s The Seasons (LPH013), thereby fulfilling the hope expressed by John Quinn in his review of that release. 1 Wöldike had an affinity with Haydn: I’d say it was well worth exploring the 5-CD box in decent transfers from Eone of his still stylish accounts of thirteen symphonies, from different periods of Haydn’s work, with the VSOO – stream (sample for non-subscribers) or download for just £7.99 from Qobuz – except that the streamed version of the first track, No.60/i has a couple of serious dropouts which, I presume, are also present on the download. The BIS series of performances on the fortepiano and period instruments from Ronald Brautigam, die Kölner Akademie and Michael Willens continues with Nos. 8 (K246), 11 (K413) and 13 (K415) (BIS-2074 [68:28] – from eclassical.com, mp3, 16- and 24-bit lossless, with pdf booklet). It follows fairly hard upon the heels of BIS-2064, containing Nos. 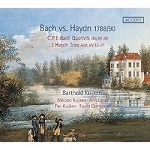 15 (K450) and 16 (K451) plus the Rondo K382 [53:43] – from eclassical.com, mp3, 16- and 24-bit lossless, with pdf booklet), enthusiastically reviewed by Dave Billinge. Both of these continue to maintain the very high standard of the earlier volumes, even for those who are not great fans of the fortepiano. For out-and-out haters of the instrument, Susan Tomes with the Gaudier Ensemble in the chamber versions of Nos. 11-13 may be more the ticket, even though that, like the whole Hyperion Helios series, has reverted to full price. (CDH55333 – from hyperion-records.co.uk, mp3, 16- and 20-bit lossless, with pdf booklet. You may find the odd CD still on sale for around £6.50). Like generations of would-be pianists – I stress the conditional – I had to plough through Czerny’s Etudes and came to hate him and them, so I had to persuade myself that his music was worth listening to. I still can’t bring myself to listen to his music for solo piano, despite recommendations from my colleagues for the Nimbus series of recordings from Martin Jones  review  review  review – review. Music for Flute and Piano is performed by Kazunori Seo (flute) and Makoto Ueno (piano) on NAXOS 8.573335 [78:20] – from classicsonlinehd.com or Qobuz, both in lossless and with pdf booklet. The charming, rather inconsequential music receives suitably intimate performances and recording. Rather more substantial fare is offered in the form of ‘world premiere’ recordings of his String Quartets in a minor, d minor, D and e minor from the Sheridan Ensemble on a 2-CD set (CAPRICCIO C5234 [113:32]– from eclassical.com, mp3 and lossless, with pdf booklet). Actually, I understand that despite the prominent claim on the cover, two of these works have been recorded before, though only the d minor is otherwise currently available, appropriately coupled with Haydn, Pleyel and Werner by the Haydn Quartet (GRAMOLA GRAM99047). I haven’t heard that other recording but the sympathetic and lyrical Capriccio performances, with recording to match, have reconciled me to at least one aspect of Czerny’s music. Though written as late as the 1850s, it’s middle-period rather than late-period Beethoven that is evoked. More substantial still are the two Symphonies: No.6 in g minor (1854, world premiere recording), and No.2 in D, Op.781, recorded by the Kaiserslautern Symphony Orchestra (SWR) and Grzegorz Nowák (HAENSSLER CD93.169 [73:41] – from eclassical.com, mp3 and lossless, or stream from Qobuz, NO booklet from either). These may not be very original works and they must have sounded somewhat dated in the 1850s, but they are well crafted and very attractive in these idiomatic and well recorded performances. Somewhat illogically, not all the BIS box sets offered on CD at special prices are available similarly reduced on their own eclassical.com website, which means that they are sometimes less expensive to download elsewhere or to buy on physical CD or SACD. 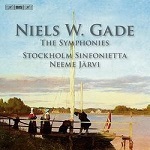 The eight symphonies of nineteenth-century composer Niels Gade plus his Violin Concerto and Korsfarene (The Crusaders) are, however, a notable exception: five CDs from eclassical.com in mp3 and lossless, with pdf booklet, at $20.50. The performers are the Stockholm Sinfonietta directed by Neeme Järvi, with Anton Kontra (violin), Malmö Symphony Orchestra/Paavo Järvi in the concerto and Kurt Westi (tenor), Marianne Rørholm (mezzo), Ulrik Cold (bass), Canzone-koret, Da Camera, Kor 72, Musikstuderendes Kammerkor and Aarhus Symphony Orchestra/Frans Rasmussen in Korsfarene (BIS-1835/36 [5:00:32], effectively 5 for the price of 2). Mendelssohn was a great admirer, which is hardly surprising in view of the influence which his music clearly had on Gade. Forget the similarities and enjoy some very good performance of some very pleasant music, though I don’t recommend hearing all eight symphonies in one go. - Symphonies 2 and 8 include a discarded movement from No.8 and In the Highlands (CHAN9862 [69:05] – from theclassicalshop.net, mp3, 16- and 24-bit lossless, with pdf booklet). Bruckner had already composed two unpublished symphonies – now labelled ‘00’ and ‘0’ – before his official First Symphony, a new recording of which has recently appeared from the Netherlands Radio Philharmonic Orchestra and Jaap van Zweden (CHALLENGE CLASSICS CC72556 [51:23]). Supposedly the symphony is presented in its original 1865/6 garb, though Ralph Moore in his review has evidence that it’s really the 1877 edition with further changes. The download from emusic.com is the least expensive – mp3 only but, like all their recent releases, at the full 320kbs, albeit without booklet. In fact, I have not been able to find a download that comes with the booklet. Granted that, though I like Eugen Jochum’s Bruckner, many object to his tempo changes, one of my benchmarks for the Bruckner symphonies comes in the form of Stanislaw Skrowaczewski’s Oehms recording of the 1877 Linz/Nowak edition of No.1 with the Saarbrücken Radio Symphony Orchestra (OC210 [45:50]) – from eclassical.com and for streaming from classicsonlinehd.com in mp3 and lossless. NO booklet from either). If I prefer Skrowaczewski’s tempi for the first two movements, where he’s much faster than van Zweden, I nevertheless enjoyed hearing the new recording, though neither can disguise the fact that, though it has its moments, especially in the finale, this is not the place for beginners to start their Bruckner adventure – that would be No.4, the Romantic, from Karl Böhm (DECCA Originals 4758403 or Double DECCA 4480982, with Symphony No.3, download only) or Gunther Wand (RCA 09026688392). 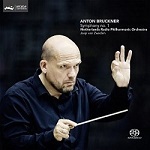 Another fine series of Bruckner recordings, from Georg Tintner, does include the 1866 original version and at budget price on Naxos – stream or download from classicsonlinehd.com, with pdf booklet. That recording offers a substantial bonus in the form of the 1876 version of the Adagio of Symphony No.3. (8.554430 [75:41] – review – review). There’s a recording of Symphonies Nos. 1-3 which Daniel Barenboim made with the Berlin Staatskapelle for his own Peral label, but it’s available only in low-bit-rate sound from iTunes and Amazon – DL News 2014/7. 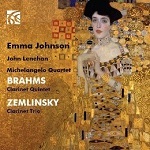 There are plenty of very good recordings of the Clarinet Quintet in b minor, Op.115, but only five of his pupil Alexander ZEMLINSKY’s Clarinet Trio in d minor, Op.3, so a recent recording of both featuring Emma Johnson (clarinet) with the Michelangelo Quartet and John Lenehan (piano) is particularly welcome. (NIMBUS ALLIANCE NI6310 – from emusic.com, mp3, NO booklet but you do get a Klimt cover). I missed Danacord’s series of Delius recordings with Bo Holten directing the Aarhus Symphony Orchestra when they were released and I’ve only just caught up with the American Masterworks volume (DACOCD732 [78:26]), courtesy of eclassical.com, where it’s available in mp3 16- and 24-bit lossless, with pdf booklet. The Koanga excerpts include La Calinda, originally part of the Florida Suite, as recorded by Thomas Beecham (The English Collection, EMI/Warner 9099152 – review – review). Appalachia was another Beecham speciality but the Danacord recording, especially in 24-bit, is greatly preferable to Beecham’s old mono, available from Past Classics – DL Roundup May 2012/2 – and, as Ian Lace says in his Recording of the Month review, where you will find all the details, this is a very moving account. Sea Drift is not one of my many Delius favourites, so I’ll simply refer you to IL’s minor reservations. I’m hard put to choose between Bo Holten and Andrew Davis in Appalachia – Download of the Month, April 2011/1 – so the choice can safely be left to the coupling, in Davis’s case The Song of the High Hills. The Mackerras recording in the Decca British Music Collection, which I also like, is now download only – £7.49 in mp3 or £11.99 in lossless from 7digital.com – or as a 2-CD set from presto-classical.co.uk. It isn’t included on his otherwise worthwhile Delius collection, still available on a Double Decca budget twofer. 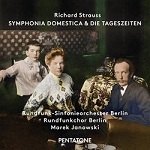 There are several fine recordings of Symphonia Domestica, Op.53, but only three others of Die Tageszeiten, Op.76, one of which is download only on the American Symphony Orchestra’s own label, while another appears only on a Warner 3-CD set of The Other Richard Strauss. Marek Janowski’s coupling of these two strange bedfellows with the Rundfunk-Sinfonieorchester Berlin and the male voices of their choir has already been welcomed by Michael Cookson – review – and John Whitmore – review. (PENTATONE PTC5186507 – from eclassical.com, mp3, 16- and 24-bit lossless, with pdf booklet, containing texts and translations). If you were swept away by Glazunov’s The Seasons on the Beulah recording which I made Reissue of the Month in 2015/8 (7PD11 - from Amazon UK or iTunes), you may be thinking about investigating his symphonies. 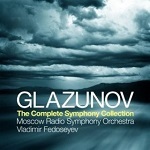 The complete set of Glazunov Symphonies from the Moscow RTV Symphony Orchestra/Vladimir Fedoseyev from Amazon UK for £4.99* is certainly a bargain. These are idiomatic performances and the recording is good enough to appreciate them, but certainly not of the best, even in the Denon transfer from Qobuz. Given that the Amazon set is likely to be at only 256kb/s, I recommend listening to the samples available for each track before buying. You will need to spend a little more for equally fine performances in better recordings: the BIS series of five CDs from Tadaaki Otaka and the BBC National Orchestra of Wales is available as a set on disc for around £28, five for the price of two, so $50.46 from BIS’s own eclassical.com is hardly competitive, though individual discs from there are well worth considering: BIS-1638 (Nos. 1 and 6); BIS-1308 (No.2, etc. ); BIS-1358 (No.3; Ballade); BIS-1378 (Nos. 4 and 8) and BIS-1388 (Nos. 5 and 7). 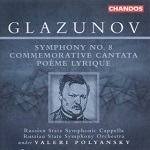 The individual albums from the Russian State SO and Valeri Polyansky (Chandos) are also well worth considering for download from theclassicalshop.net: CHAN9751 (No. 1 and Violin Concerto); CHAN9709 (No.2 and Coronation Cantata); CHAN9658 (No.3 and Concert Waltzes); CHAN9739 (Nos. 4 and 5);CHAN10238 (No.6 and Characteristic Suite) and CHAN9961 (No.8 and Commemorative Cantata). If you want to mix and match, I suggest the BIS recording of Nos. 1 and 6 and the Chandos of No.8. Then Nos. 4 and 5 from Polyansky and Chandos. * NB: there’s another Amazon UK webpage offering the same set for the higher price of £5.39. Brilliant Classics have these performances on a 4-CD set for around £11.00 (94719). We now have another fine recording of Symphony No.1 (Sea Symphony) to add to an already impressive roster, with Sir Mark Elder and the Hallé Orchestra following up their earlier success with The Wasps (CDHLD7510) Symphony No.2 (London) and Oboe Concerto (CDHLL7259), Symphony No. 3 (Pastoral), etc. (CDHLL7540) and Symphonies 5 and 8 (CDHLL7533). 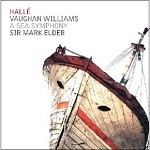 The new performance is again on the Hallé’s own label,CDHLL7542 [70:23] and can be downloaded from emusic.com by subscribers in 320kbs mp3 for just £1.68. There’s no booklet, but neither is there from Qobuz or any of the other download sources that I checked. The ship on the cover shot may be beached and apparently in need of some attention but the performance needs none, offering strong competition for the Boult mono*, still my benchmark, and the recording, made live in the Bridgewater Hall in 2014, does full justice to the large forces involved. In addition to the Hallé Orchestra the performers are Katherine Broderick (soprano), Roderick Williams (baritone), the Hallé Choir, Hallé Youth Choir, Schola Cantorum of Oxford and Ad Solem. * Symphonies 1-9 on DECCA British Music 4732412 (5 CDs). Sea Symphony coupled with The Wasps Suite on NAXOS Classical Archives 9.80867 or alone on Australian ELOQUENCE 4501442 (download only: prestoclassical.co.uk, mp3 and lossless). The complete LSO/Previn recordings (RCA) are now download only and rather expensive at that. Several years ago I bought what I still think the ideal recording of VW’s London Symphony (Symphony No.2), the original 1913 version with some 20 minutes of music which the composer later removed, from the LSO and Richard Hickox, coupled with George BUTTERWORTH’sThe Banks of Green Willow on CHANDOS CHAN9902 [67:39] – review. I bought the CD because I didn’t then have the means to play the SACD equivalent on CHSA5001. I was slightly surprised to find the 24-bit download from theclassicalshop.net less impressive than the CD: it seems to have been transferred at too low a level or the dynamic range is too wide and the net result is that the CD seems to open out more naturally than the download. I also compared the same recording from eclassical.com and both 24-bit versions sound a trifle undernourished, even at several notches higher on the volume, by comparison with the CD whereas the latter deserves all the praise which was heaped on performance and recording by my colleagues in 2001. Whichever version you choose, CD, SACD, 16- or 24-bit, this is the London Symphony that I turn to despite strong challenges from Sir Adrian Boult (the mono recording of all the symphonies, as above, or separately on Naxos Classical Archives 9.80369 – stream/download from classicsonlinehd.com or Qobuz) or Sir Mark Elder (HALLÉ CDHLL7529 – stream/download from Qobuz: Recording of the Month – review – review – DL News December 2011/1). I’ve also just downloaded the recent DUTTON recording of the 1920 version of the London Symphony, with the Two-piano Concerto, inspired by John Quinn's review. At first hearing I’m every bit as impressed with performances and recording despite the fact that the download from Amazon UK is only at 256kbs and comes without booklet. 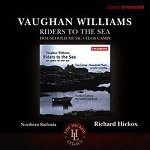 For me the attraction of the reissued CHANDOS CHAN10870 is not the principal work, the short opera Riders to the Sea, a work with which I find it hard to engage, but the beautiful Flos Campi which concludes the recording and which is as ethereal as his Fantasia on a Theme of Thomas Tallis and Dives and Lazarus – all three are even more so than the now ubiquitous The Lark Ascending. Lossless downloads of this from theclassicalshop.net and Qobuz cost £7.99 – more than the CD, which is on sale for as little as £6.50 from one dealer– and the eclassical.com version costs more again at $14.08. After all that you may think it small consolation that all three downloads come with the pdf booklet. 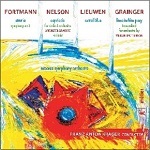 Alternatively you may prefer Flos Campi in other company: from Hyperion with Nobuko Imai as soloist (CDA30025, with Serenade to Music and Mystical Songs – DL Roundup October 2010) or with Lawrence Power (CDA67839, with Suite for Viola and Orchestra and McEwen Viola Concerto – review) or on Classics for Pleasure (5753112, with Symphony No.5) or an 4-CD Nimbus set, available from MusicWeb-International at an attractive price (NI1754). 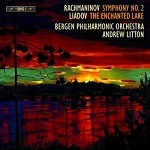 Dan Morgan has compared a new recording of Symphony No.2 in e minor, Op.27, from the Bergen Philharmonic and Andrew Litton, coupled with Liadov The Enchanted Lake, on BIS-2071 [70:54] with an older recording from the LSO and Valery Gergiev on LSO LIVE LSO0677 [60:53]. The BIS can be downloaded from eclassical.com (mp3, 16- and 24-bit lossless) and the LSO from hyperion-records.co.uk in the same formats1. Both come with pdf booklet. He thought highly of the Litton recording but awarded the palm to Gergiev. Having felt a little disappointed with both, I listened again – perhaps I can’t shake off memories of old favourites in this work, such as Ormandy (CBS, now download only2), Previn (mid-price EMI 0852892) and Rozhdestvensky (a splendid bargain with the LSO on ALTO ALC1250, stream from Qobuz). There are two qualities that I look for in a performance of this symphony: a combination of nostalgia where appropriate and power where it’s needed. Those older recordings offer both but, having listened again to Gergiev, he isn’t far behind in either department, though I still prefer, as I did when I mentioned his version in DL Roundup August 2010, Previn and Rozhdestvensky: the latter has since moved from Regis to Alto, still at budget price. 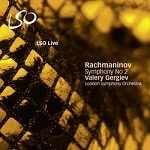 The emusic.com mp3 transfer of the LSO LIVE from which I was working then is a little more expensive now, at £1.68, but still excellent value for subscribers and sounding decent, though at a low bit-rate of around 225kb/s. My second encounter with the BIS recording was much more enjoyable, too: in fact, I marginally preferred both performance and the fuller recording quality to the LSO Live. I shan’t be getting rid of those older favourites but the Litton in particular will be joining them. 1 At current exchange rates the 24-bit Hyperion download is less expensive (£9.75) than the eclassical.com download of the LSO LIVE version ($16.43) to which Dan Morgan gives a link. You should be able to find it on SACD for around £9 or $17. 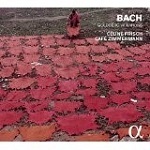 2 Symphonies 1-3 and Vocalise: stream or download from Qobuz or stream from Naxos Music Library. The two South Ostrobothnian Suites make up the major part of an Ondine release which David Barker not only made Recording of the Month – review – but is actively considering for one of his Recordings of the Year. The performances by Turku Philharmonic Orchestra and Leif Segerstam make a strong case for the music and the download is very good. DJB has commented on the 16-bit; I chose the 24-bit – a bit pricey at $19.13 as against $12.75 for the mp3 and 16-bit, but not much more than you would expect to pay for the 16-bit CD. (ODE1270-2 [70:50] – from eclassical.com, mp3, 16- and 24-bit lossless, with pdf booklet). Full marks to my colleague in persuading eclassical.com to get the booklet provided – originally it was not part of the deal. 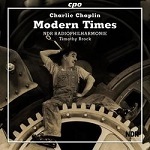 A reconstruction of Chaplin’s film Modern Times, performed by the NDR Radiophilharmonie conducted by Timothy Brock, who did the restoration along with Edward Powell and David Raksin, and recorded it in 2006/7 has been released by CPO (777286-2 [79:49] – from eclassical.com, mp3 and lossless, with pdf booklet). Rob Maynard’s detailed review gives the background details. As he says, though the music is keyed track by track to descriptions of what happens in the film, it’s best if you actually know the plot, though the music is enjoyable on its own terms. It’s also available for sampling from Qobuz but not for streaming when I checked. Naxos Music Library subscribers can, however, stream it and download the booklet – here – and classicsonlinehd.com have it here. The theme from Chaplin’s film Limelight, with its clear debt to Tchaikovsky, was something of a Mantovani speciality; it can be heard with all the lush strings – hired from the top London orchestras – on Mantovani at the Movies (Universal, download only). Sample or stream from Qobuz but their price of £11.56 for the download is rather steep when Alto have a similar collection of Mantovani film music recordings from 1955-1960, including Limelight, for around £5.50 (ALN1923). The Passionato link which I gave in December 2010 no longer applies. 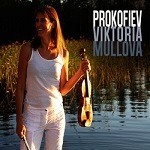 A new live recording of Violin Concerto No.2 by Viktoria Mullova, the Frankfurt Radio SO and Paavo Järvi is coupled with the Sonata for two violins and the solo Violin Sonata on ONYX4142 [50:55]. Awarded Recording of the Month status by Stephen Greenbank, it can be downloaded from eclassical.com (no booklet) in mp3, 16- and 24-bit lossless or streamed from Qobuz (with booklet) or classicsonlinehd.com (no booklet and rather expensive, in 16-bit only, at £10.90). Eclassical’s 24-bit at $13.62 is only marginally more expensive than their 16-bit. My only reservation is that I would have preferred the concerto to have been coupled with its predecessor, but Mullova seems to have a penchant for No.2, having previously recorded it, with Bartók, Stravinsky and Shostakovich, for Philips. If you prefer the two concertos together, Warner have just reissued the Heifetz/Matacic and Galliera recordings (WARNER Original Jacket 2435628882 ). My own favourite is Kyung Wha Chung, with the Stravinsky Violin Concerto, on mid-price Decca (E4250032 or 4767226, the latter a Presto CD licensed from Decca). Alternatively, if you want a recording of No.1 to go with Mullova’s No.2, another Warner reissue brings Anne-Sophie Mutter’s account, with Rostropovich (ERATO Original Jacket 2564613136, with Glazunov and Shchedrin). Both of these are at mid-price. With only one other recording of Morning Heroes in the catalogue and two of the Hymn to Apollo (here recorded for the first time in its original 1926 version), a new recording from Chandos is very welcome: Samuel West, (orator), BBC Symphony Chorus and BBC Symphony Orchestra conducted by Sir Andrew Davis (CHSA5159, SACD or download in mp3, 16- and 24-bit lossless, with pdf booklet, containing texts, from theclassicalshop.net). Both works were dedicated to the memory of Bliss’s brother who died in WWI and both have become somewhat neglected. I wouldn’t want to be without the Warner/EMI recording, with John Westbrook as a most evocative narrator, but it’s coupled with Sir Simon Rattle’s Britten War Requiem – an appropriate coupling, well worth having and at budget price, though not a top recommendation for the Britten – or in a 24-CD set of recordings by Sir Charles Groves. Far be it from me to dissuade anyone from obtaining the Groves box – a conductor who did as much as anyone to introduce me to the world of the classics – but I’m not a fan of monster boxes. The new recording has another very effective narrator in the form of Samuel West and the performance is very powerful indeed. West is billed as ‘orator’ rather than ‘narrator’ and he certainly declaims the texts but never sounds too ‘actorly’. Some unholy mis-combination of my broadband and theclassicalshop.net meant that I could listen to this in 16-bit format only but, with a notch or two up on my normal listening level, the recording in that form is every bit as good as the performance. This is yet another confirmation of the extent to which Andrew Davis has taken on the mantle of interpreter-in-chief of twentieth-century British music. Both the alternative recordings of Hymn to Apollo have their attractions: one comes on a worthwhile 2-for-1 Chandos collection, with the Checkmate Suite, Clarinet Quintet, Music for Strings and Pastoral (CHAN241-1 – review) while the other has Bliss himself at the helm of the LSO (Bliss Conducts Bliss, Lyrita SRCD.225 – review – review). There used to be a budget-price BBC Radio Classics CD of Morning Heroes, with Richard Baker as narrator, the BBC Chorus and Symphony Orchestra and Sir Charles Groves again. That’s worth seeking out if you can find it, especially if it’s not too expensive – Amazon UK have just one copy for £6.99 as I write. 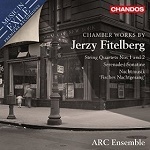 Premiere recordings of Fitelberg’s String Quartets Nos. 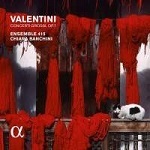 1 and 2, Serenade, Sonatine and Nachtmusik (Fisches Nachtegsang) are offered in performances by members of ARC Ensemble on CHANDOS CHAN10877 [60:38] – from theclassicalshop.net (mp3, 16- and 24-bit lossless, with pdf booklet). The subtitle is ‘Music in Exile 2’: Fitelberg moved from his native Poland first to Paris and then to the USA. With so few recordings of his music available, I hope that this will do for him what the recording companies have been doing for Weinberg recently. In fact, if you like Weinberg’s music, you should at least check Fitelberg out. With no benchmarks to judge by, these are persuasive performances and the 24-bit recording is excellent. As the physical disc is not an SACD, downloading is the only way to obtain better-than-CD quality. - WEINBERG Concertino, Op.42; Rhapsody on Moldavian Themes, Op. 47/3. There are other recordings of the Concertino but this is the premiere of the Rhapsody in its (reconstructed) orchestrated form. (For another recording featuring these two works, please see Brief Reviews below). 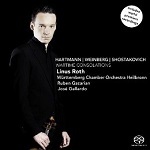 The performers are Linus Roth (violin) with the Württemberg Chamber Orchestra Heilbronn/Ruben Gazarian and José Gallardo (piano) (CHALLENGE CLASSICS CC72680 [55:26] – from emusic.com, 320kbs mp3). In the Hartmann I still marginally prefer Alina Ibragimova and the Britten Sinfonia (HYPERION CDA67547, with solo works by Hartmann – review – DL News 2012/14) but the coupling on the new recording is more enticing and all the performances are commendable. It’s good to see the Württemberg Orchestra who, under Jörg Faerber, used to be a mainstay of the Vox Turnabout label, making successful returns to the recorded repertoire. There’s also a Supraphon recording of the Hartmann from Ida Haendel and Karel Ancerl, with Ravel and Lalo, which I like (SU3677-2 – DL News 2013/8). At £3.78 for subscribers the emusic download is quite a bargain and the transfer, like all their recent releases, is at 320kbs. Qobuz have it to sample and for members to stream or download (£7.99) in 16-bit lossless but seekers for 24-bit will have to purchase the SACD. NAXOS AMERICAN CLASSICS 8.559742 [69:40] – from classicsonline.hd.com (stream or download in 16- and 24-bit lossless, with pdf booklet). 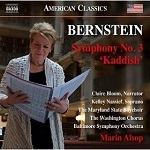 Naxos already had a fine recording of the Kaddish Symphony, with Willard White, Yvonne Kenny and Liverpool forces conducted by Gerard Schwarz (8.559456 – review). Who better, however, in theory than Bernstein protégée Marin Alsop to conduct his music, especially now that his own CBS recording is available only in a Sony monster box and his even better DG recording, with Chichester Psalms, as a download only? I hope that the DG recording will return, perhaps, like Symphonies Nos. 1 and 2, on the Originals label, though that CD has appropriatedChichester Psalms, originally coupled with the Third Symphony (4577572). Meanwhile, it can be streamed or downloaded in lossless sound from Qobuz (£11.56), as can the Sony from classicsonlinehd.com for £9.63. If you feel like splashing out, Qobuz also have the 7-CD Bernstein conducts Bernstein box set for £30.93. The DG is available in mp3 from 7digital.com for £8.49. If you are happy with 320kb/s mp3, sainsburysentertainment.co.uk have the Sony version, oddly coupled with the Bizet Symphony in C, for £3.99. Alternatively they offer it, more logically, in the same coupling as COL, for £6.99 – here. Claire Bloom speaks the narration beautifully on the new recording but you will need to turn up the volume to hear her and then the orchestra may sound overpowering – and harmful to your relations with your neighbours. Perhaps I’m looking for something more impassioned, such as Felicia Montealegre, aka Mrs Bernstein, gave us on that CBS/Sony recording. That’s my only reservation in recommending the new recording – I suggest that you sample first to gauge your own reaction because of the other reviews which I’ve seen one shares my reservation, the other to a much lesser extent. In any case, if you prefer the original narration, as I do, this is now your version of choice: the alternative Chandos recording uses Jamie Bernstein’s revised version. That Leonard Slatkin recording is otherwise a strong competitor (CHAN10172 – from theclassicalshop.net, mp3 and lossless, with pdf booklet; also available as SACD CHSA5028). In all other respects there is very little to choose between Slatkin and Alsop: both are idiomatic interpreters of Bernstein. Slatkin adds the Chichester Psalms, frankly a superior work to the two offshoots from the music for Anouilh’s play about Joan of Arc, L’Alouette. The liturgical music was reborn as the Missa Brevis and some of the other music as The Lark, here narrated more appropriately than in Kaddish by Claire Bloom. If you already have Marin Alsop’s Naxos recording of Chichester Psalms1 – well worth considering if you don’t – the mixture of rustic-medieval and Bernstein’s typically bouncy rhythms in these works is very attractive as performed here, especially if you play not only the Missa Brevis but also The Lark before Kaddish. The 24-bit download is excellent and COL’s downloads in that format are not unreasonably priced now that they have reduced from £11.99 to £9.99. The 16-bit costs £4.99 and both come with the booklet. 1 review – review – review. Though I’ve reviewed both of the complete series of Arnold’s symphonies from Naxos (Andrew Penny, now only available separately – review and review of box set) and Chandos (Richard Hickox and Rumon Gamba, CHAN10853, 4 CDs – review) and enjoyed both, I somehow missed Symphony No.4, Op.71, in the Lyrita recording which the composer himself made with the London Philharmonic Orchestra (SRCD.200 [54:08]), an omission easily remedied for as little as £1.68 by downloading it from emusic.com. The performance must be regarded as authoritative and the recording does it justice. As good as those other recordings are, this is likely to become my version of choice. The emusic.com bit-rate is not ideal – it hovers between 160 and 192kbs – but sounds more than tolerable. There’s no booklet, but the MusicWeb review and review1 will help you fill in the details. If you don’t subscribe to emusic, rather than downloading from Amazon for considerably more – and still likely to be at a less-than-ideal bit-rate and without booklet – consider purchasing the CD at an attractive price from Music-Web International. 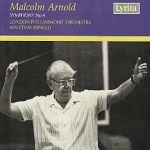 Arnold’s own earlier (1955)2 recording with the RPO of Symphony No.2 and Beckus the Dandipratt is also available on an inexpensive NAXOS Classical Archives download (9.80386 [41:06] with Tam O’Shanter, conducted by John Hollingsworth). Sample or purchase from Qobuz: only one track is available for streaming, but it is all available to subscribers to stream from classicsonlinehd.com. The transfer is very good for its age, but there’s just one grumble: Naxos Classical Archive downloads used to be available in good mp3 from the old classicsonline.com for £1.99: the increase to £4.99 (just reduced from £5.99) for lossless downloads from its successor seems rather steep when we don’t even get a booklet – that’s the same price as for 16-bit downloads of recent Naxos recordings which are usually much longer than 41 minutes and do come with a booklet. The transfer of the Symphony and Beckus on Arnold conducts Arnold (EMI: Bargain of the Month – review) seems to have been deleted: someone is asking £39.99 at Amazon UK, so it’s no longer much of a bargain, but it’s available to stream and download from Qobuz, albeit without booklet. If you are happy with 320kbs mp3, sainsburysentertainment.co.uk have it for £7.49 – again no booklet. Of rather later vintage, Arnold’s own recording of Symphony No.3 and Scottish Dances with the LPO is on NAXOS Classical Archives 9.80892 – from eclassical.com ($7.99) or classicsonlinehd.com (£4.99), mp3 and lossless. It’s worth going for the lossless version of this recording, which was recorded by Everest in 1959 and released by World Record Club in stereo in 1961 (ST99). Arnold tended to slowish speeds in his recordings – not, however, in the Second (above) – but, though Penny (Naxos, 11:11) and Hickox (Chandos, 12:20) take the first movement of the symphony faster than his 13:23, there’s no sense that he lets the music drag. There are no notes with the Naxos Classical Archive series. The lossless transfer from eclassical and classicsonlinehd is good but those in search of 24/96 quality will find an even better version, with pdf booklet, from High Definition Tape Transfers for $14.00 – reduced as I write to $11.20 – and in other formats, including DSD. On Naxos the Dances come first, which I find more logical; on HDTT the order is reversed but the recorded sound, from a 15 i.p.s. tape, is stunningly good. Yet another very attractive transfer of this recording of the Third Symphony comes from Beulah on a well-filled album with BUTTERWORTH ( A Shropshire Lad) and VAUGHAN WILLIAMS (Symphony No.3, Sir Adrian Boult, mono). (5PD76 – Download News 2013/16 ). The Everest release on SDBR3021, with Dances first, has been intermittently available in the UK. Dan Morgan reviewed the 24/96download from HD Tracks – review. UK purchasers can now pay there in sterling. 2 The date is given as 1957 but it can’t be: the Philips LP was reviewed in 1955. 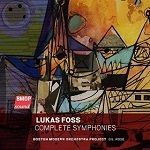 The recorded repertoire of the music of Lukas Foss remains somewhat small. Much of what there is has been immured in multi-disc collections, features on multi-composer albums or is available only to download. I hope that the fact that the 2008 Harmonia Mundi recording of his Piano Concertos, with Foss himself among the soloists, has fallen into the last category (HMU9072431 – from eclassical.com or Qobuz, both mp3 and lossless – NO booklet) is not an ominous sign for new recordings of his music. To the best of my knowledge no recording of the Four Symphonies, composed between 1944 and 1995, has appeared before, at least in the UK catalogue. Now the Boston Music Orchestra Project, directed by Gil Rose, have recorded them on a new 2-disc set, on their own label BMOP/SOUND 1043 [74:10 + 77:14] available to sample, stream or download from Qobuz. Though Foss played with atonalism and even wrote of his later music that it was as crazy tonally as it had previously been crazily atonal, there’s nothing in these symphonies to frighten off any lover of the classical mainstream from Bach to Stravinsky, both of them influences on Foss. Since he was principally associated with Boston, it’s appropriate that BMOP should have made these authoritative recordings on the eve of their twentieth anniversary. The downloads reached me as press reviews in wav format, so I cannot comment on the Qobuz downloads, but the wav transfers sound fine. At £11.99, the Qobuz version is both less expensive than the offering from Amazon UK and of higher quality than the latter, which is mp3 only and likely to be at only 256kbs. Subscribers to emusic.com will find it there for £6.73: like all their recent releases it’s at the full mp3 bit-rate of 320kbs. Amazon US have these recordings both as a download and as a 2-SACD set. If you missed reviews by John France and myself of the earlier BMOP release of music by Irving Fine, you can find them here and here. My review of their recording of music by Elena Ruehr is here. 1 We seem to have missed the recording of the Piano Concertos. If anything, they are even more attractive than the symphonies or, at least, a next step if you try the symphonies and like them – check for yourself from Qobuz (sampling only for non-subscribers). Regular readers will know that my appreciation of modern classical music and jazz is hedged around with caution, but I’m always willing to explore, which is why I was tempted by the very snazzy cover and tried DIVINE ART MÉTIER MSV28554 from theclassicalshop.net (mp3 and lossless, with pdf booklet). The programme opens with the most substantial work, Thomas FORTMANN’s Symphony No.2 (Etruria) (2009), followed by Robert NELSON’s Capriccio for violin and orchestra (2007), Peter LIEUWEN’s Astral Blue (2006) and concludes with Merlin PATTERSON’s orchestral arrangement of Percy Grainger’s Lincolnshire Posy. Franz Anton Krager conducts the Moores Symphony Orchestra, University of Houston School of Music, with Andrzej Grabiec as soloist in Capriccio. Divine Art’s willingness to record what might seem like music of niche interest on the Métier label is well worthy of your support and I urge you give this and some of their other recordings at both ends of the chronological scale a try. Towards the other end of that scale, it’s thanks to the support of first Naxos, then Divine Art and more recently Linn that we have been able to have some fine recordings of the music of Charles Avison and now of other baroque composers from the ensemble which bears his name. The Etruria Symphony is a powerful work, not easy to grasp at first hearing, but well worth persevering with: I intend to do so. Parts of it are somewhat craggy but it’s never noisy simply for the sake of being so and much of it is no more avant-garde than Aaron Copland. The other music is very approachable, even for someone with conservative musical tastes. I’m particularly attached to Grainger’s own wind version ofLincolnshire Posy – most economically obtained on a super-budget Chandos sampler from their Grainger series, CHAN2029: Bargain of the Month – review 1 – but the Patterson arrangement is also very enjoyable. I see that John France also enjoyed this recording – review. 1 also on an inexpensive Australian Eloquence reissue of the classic Eastman Rochester recording with Frederick Fennell (4802089 – review). WERGO WER73232 [59:39] – from emusic.com (320kb/s mp3, £1.26: NO booklet). I must admit that I don’t often check releases on the Wergo label – they tend to be too avant-garde for my liking – but the music of Vasks is a different matter entirely and the price being asked by emusic.com is absurdly inexpensive for the work of a composer who resists gimmicks, believing in ‘art for mankind’ rather than ‘art for art’s sake’. With a strong spiritual element, the nearest analogues that I can suggest are Arvo Pärt and John Tavener. It’s not ‘easy’ music and it’s not imitative of the past but it does stand in a clear line of descent from the mainstream. These are all first recordings, so there’s no benchmark, but the performances, from Vasks’ native Latvia, make an excellent case for the music; the recording is good and the transfer comes at full-strength 320kb/s. Now all we need is for emusic.com to bring all their earlier downloads up to 320kb/s standard – some are at only half that bit-rate – and to start giving us the notes. Oh, and to stop charging ridiculous prices for budget-price recordings which happen to have lots of tracks – charging £0.42 per track is fine but there ought to be a cap. 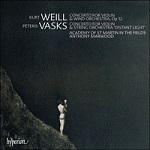 The Hyperion recording of VASKS’ Violin Concerto, ‘Distant Light’, is also something of a bargain. Because the playing time is a little short [56:46] the price for mp3 or lossless is just £6.99. The soloist and conductor here and in the Kurt WEILL Violin Concerto, Op.12, coupling is Anthony Marwood and the orchestra is the Academy of St Martin in the Fields. (CDA67496 – from hyperion-records.co.uk). Tony Haywood liked the contrast between the style of Vasks and the spiky neo-classicism of Weill and praised both performance and recording; it remains only for me to echo with enthusiasm his comments – review – and add that the download, costing not much more than the CD but coming with pdf booklet, is equally credit-worthy. If you crave the physical product you could print the booklet, burn to CD and still save money. Don’t hit the iTunes purchase button to pay almost £1 more for mp3 which comes at a less than ideal bit-rate and is devoid of booklet. 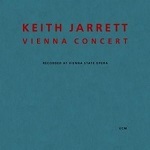 Keith Jarrett’s Vienna Concert, recorded at the Staatsoper in 1991 (ECM1481 [68:08]) comes on just two tracks at a total price of £0.84 from emusic.com. It’s an ideal purchase for emusic.com subscribers who find themselves, as I often do, with a few pence left on the account at the end of the month when it will be lost forever. Jarrett’s many fans will find this every bit as wonderful as his Paris and Köln concerts – if they don’t already own it – and classical music fans should find this just as tempting. The bit-rate is not idea – around 220kbs – but that’s not much lower than from Amazon, where it costs £7.99, or iTunes, where it’s £9.99. If you want it in lossless sound, that will cost you £10.79 from Qobuz – quite a difference. Some UK dealers seem no longer to stock the CD – Amazon had only one copy left at the time of writing. A brief notice does not preclude a later review in DL News or on the main MusicWeb pages. Martin CODAX was an early minstrel of Galician-Portuguese heritage, the composer of Cantigas de amigo (mid thirteenth-century) and often regarded as the precursor of the Portuguese fado. A new recording on ARCANA (A390) contains beautiful performances by Vivabiancaluna Biffi (voice and viola d’arco) and Pierre Hamon (medieval flutes). The booklet contains the texts and translations. It hadn’t yet appeared on general release at the time of writing – I listened to a press preview – but Arcana downloads are usually available from eclassical.com. The only other recording devoted entirely to these Cantigas, on Harmonia Mundi HMC2907378/79, 2-for-1 when available on CD, is now download only – eclassical.com (mp3 and lossless) or Qobuz (stream or download). No booklet from either. Girolamo FRESCOBALDI (1583-1643) Toccate d’Intavolatvra di Cimbalo et Organopartite di Diverse Arie e Corrente, Balletti, Ciaccone, Passaghagli Libro Primo MDCXXXVII is a very long title for a 2-CD collection of keyboard works, attractively performed, half on the harpsichord and half on the organ by Rinaldo Alessandrini. First released by Auvidis in 1993 it’s now reissued by ARCANA (A388). 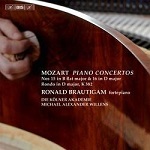 Stream – sample for non-subscribers – or download from Qobuz or stream from Naxos Music Library. Samuel SCHEIDT (1587-1654) Ludi Musici (1621), an enjoyable collection of dance music, is performed in style by L’Achéron, a group forming what used to be called a broken consort (viols and other instruments) on RICERCAR RIC360. Again, I’ve been listening to a preview of what should appear in due course from eclassical.com but is already available to stream – sample for non-subscribers – or download from Qobuz. What Artemesia Heard is a programme of music that might have been heard by the artist Artemisia Gentileschi (1593-1653). It's performed by Jennifer Ellis Kampani, Nell Snaidas, Céline Ricci (soprano), Paul Shipper (bass) and El Mundo/Richard Savino on SONO LUMINUS DSL92195 - see my full review. 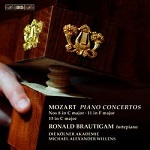 Download from eclassical.com (mp3, 16- and 24-bit lossless, with pdf booklet). Alessandro STRADELLA (1639-1682) San Giovanni Crisostomo is an oratorio for 5 voices and basso continuo, performed by Ensemble Mare Nostrum/Andrea De Carlo (ARCANA A389). It’s a first recording of a work overshadowed by another Stradella oratorio, San Giovanni Battista: the theme is the contest between vanity and virtue, presented in lively style. If you listened with an innocent ear you could be forgiven for thinking it an early opera: the two forms had much in common at this stage. Even the mp3 which I received for review sounds well and it comes with text and translations Subscribers can stream from Qobuz; others can sample. It’s also available for download there. Stradella’s La forza delle stelle ovvero Il Damone, with the same forces, is available on A377, from eclassical.com (mp3, 16- and 24-bit lossless, with pdf booklet): Discovery of the Month, 2014/10. Heinrich BIBER (1644-1704). In addition to the three new recordings of the Rosary Sonatas discussed above, I have discovered that I missed yet another earlier this year, from Gunar Letzbor (violin) and Ars Antiqua Austria on ARCANA A381. Stream or download from Qobuz: non-subscribers can sample. A first listen suggests that this is another competitive version. 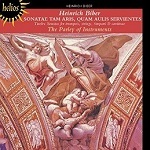 There's a first-rate new recording of Biber's Missa Salisburgensis, with La battalia and Sonata Sancti Polycarpis, subtitled Baroque Splendor, directed by Jordi savall on his own ALIA VOX label. (AVSA9912). I reviewed the SACD - here - and it can be streamed or downloaded, with pdf booklet, from Qobuz in 16- and 24-bit formats, though the latter won't leave you with very much change as opposed to the SACD. You can compare it with the McCreesh recording there, too: I now think that it marginally outshines even that classic album. Alessandro SCARLATTI (1660-1725). Arias and duets entitled Rosinda ed Emireno, performed by Alice Borciani (soprano), Alex Potter (countertenor) and Musica Fiorita/Daniel Dolci suggest that the whole opera from which they derive, L’Emireno, would be worth recording. (PAN CLASSICS PC10303 – from eclassical.com, mp3 and lossless, with pdf booklet containing Italian texts and German translations – no English). My colleague Johan van Veen has reviewed this on his own valuable website. Johann Sebastian BACH (1685-1750). The recording of the Cello Suites and the Sonatas for Gamba and Harpsichord which I included in my survey of recent Outhere group recordings from an mp3 press preview (ARCANA A383) is now available in a better format from eclassical.com (mp3 and lossless, with pdf booklet). At $37.83, however, you will have little if any change from the cost of the CDs – £22.68 from Amazon UK and $37.49 from arkivmusic.com. Stream from Naxos Music Library. George Frideric HANDEL (1685-1759). The well-known Fireworks Music is coupled with the three much less known Concerti a due cori in performances by Zefiro/Alfredo Bernardini on ARCANA A386, a reissue of a Deutsche Harmonia Mundi release. Ralph Moore’s review reflects my own feelings: ‘This is a thoroughly enjoyable disc which should appeal to any devotee of Handel’s instrumental music and not just for the ebullient performance of the title piece’. Stream – non-subscribers sample – or download from Qobuz. Stream from Naxos Music Library. Sonatas for keyboard, viola da gamba and continuo by Carl Philipp Emanuel BACH (1714-1788), Johann Gottlieb GRAUN (1703-1771) and one attributed to Ludwig Christian HESSE (1716-1772) are performed by Lucile Boulanger (viola da gamba), Arnaud de Pasquale (fortepiano) and Laurent Stewart (fortepiano) on ALPHA202 [71:49] – from eclassical.com (mp3, 16- and 24-bit lossless, with pdf booklet). There’s not much competition – nothing that combines even the three CPE Bach works and none at all for the Graun or the Hesse attribution. The performances are stylish but haters of the fortepiano should be aware that this is not one of the more mellifluous examples. Subscribers can stream, others can sample from Qobuz. Franz Anton HOFFMEISTER (1754–1812) is best known as the dedicatee of Mozart’s String Quartet No.20, K499. 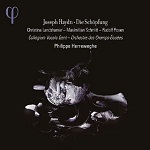 His late Symphonies in C (Hickman C8) and in D (Hickman D8) are coupled with the overture Der Königssohn aus Ithaka in performances by Orchestra della Svizzera Italiana and Howard Griffiths on CPO 777895-2 – from eclassical.com (mp3 and lossless, with pdf booklet). The only other recording of the Symphony in D is on a pioneering recording, CHANDOS CHAN10351 (with Symphonies in E and G) and there doesn’t seem to be any other current recording of the one in C.
ALPHA225 is a 5-CD set of reissues on which Anima Eterna and Jos van Immerseel perform music by BERLIOZ (Symphonie Fantastique andCarnaval Romain), DEBUSSY (L-Après-midi d’un Faune, la Mer and Images), RAVEL (Ma Mère l’Oye – Suite, Pictures from an Exhibition, Boléro, Pavane pour une Infante défunte, Rapsodie Espagnole and La Valse) and POULENC (2-Piano Concerto, Suite Française and Concert Champêtre). Recorded over an eight-year period (2005-2013), these period-instrument recordings have appeared separately before on the Zig-Zag label, but the 5-disc set costs the price of just two of them. Most of these recordings have been welcomed – the Berlioz, for example, held my attention throughout – DL Roundup September 2011/2 and Oleg Ledeniov warmly welcomed the Poulenc – review – but Nick Barnard found the Mussorgsky/Ravel ‘a desert of disappointment’ – review. Once more I listened to an mp3 preview: when it appears as a download, I wouldn’t, for once, recommend eclassical.com, whose per-second charging policy is likely to equal the cost of the five individual albums. Auguste FRANCHOMME (1808-1884). The Franchomme Project offers an attractive programme of newly discovered works by this renowned French cellist, together with transcriptions of music by Chopin, who chose Franchomme as his chamber music partner. The performances are by Louise Dubin (cello and research), with Julia Bruskin, Sæunn Thorsteinsdóttir and Katherine Cherbas, (cello), Hélène Jeanney and Andrea Lam (piano). (DELOS DE3469). It’s due for release on 30 October but available to stream or download in advance, from Qobuz and in mp3, 16- and 24-bit download from eclassical.com. Both come with booklet. My review copy came via press access in very good wav sound, so I can’t comment on the quality from Qobuz and eclassical.com but I imagine that they sound fine, too. Wilhelm FITZENHAGEN (1848-1890). I might well have passed Fitzenhagen’s two Cello Concertos by if I had not been doing the htm conversion for Michael Cookson’s review. The performances by Alban Gerhardt (cello) and the Deutsches Symphonie-Orchester Berlin/Stefan Blunier make the best case for the music and of the admittedly much more memorable coupling, TCHAIKOVSKY Rococo Variations, which Fitzenhagen, their dedicatee, arranged in a version which held the field until the recent tendency to return to the original. The 24-bit download is at 24/48 but none the worse for that. (HYPERION CDA68063 – from hyperion-records.co.uk, mp3, 16- and 24-bit lossless, with pdf booklet). Isaac ALBÉNIZ (1860-1909). I thought that I had reviewed Piano Music Volume 6, containing the Piano Concerto and Piano Sonata No.5 (BIS-CD-1743) some time ago but I can’t find it among the DL Roundup/DL News editions. Reviews by Dan Morgan and John France tell you all that you need to know about this attractive release, together with the fact that the download from eclassical.com is in mp3, 16- and 24-bit lossless, with pdf booklet. Jean SIBELIUS (1865-1957). 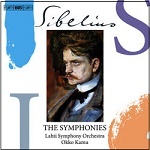 I wondered at the commercial viability of BIS’s new 3-SACD set of the symphonies from the Lahti Symphony Orchestra and Okko Kamu (BIS-2076 – from eclassical.com, mp3, 16- and 24-bit lossless, with pdf booklet), given that they already had a very fine complete set with the same orchestra and Osmo Vänskä1, plus remakes of four symphonies with Vänskä and the Minnesota Orchestra. In the event, the early promise of Kamu’s recordings of some of the symphonies for DG is more fully realised here, though the fifth symphony is something of a slow burner in his hands. The SACDs, due for release at the end of October 2015, sell for around £23: I'm surpised that eclassical have two versions - the one which I've listed offers all formats for $24, the other mp3 and 16-bit for $25.21 and 24-bit for $35.29. I’m not quite sure that I go all the way with Dan Morgan’s award of Recording of the Month – I still marginally prefer Vänskä, the Lahti set rather than the Minnesota remakes – but I’d be perfectly happy if this were my only set of Sibelius recordings. 1 Sibelius Edition, Volume 12, BIS-1933/35, 5-for-3, including earlier versions and variants. Stream or download from Qobuz until the eclassical.com reissue of this volume becomes available towards the end of 2015. Arnold SCHÖNBERG (1874-1951) Pelleas und Melisande ; Violin Concerto - Kolja Blacher (violin) Gürzenich-Orchester Köln/Markus Stenz OEHMS CLASSICS OC455 [69:35]. This is another recording which caught my eye as I was processing another reviewer’s work, in this case Dominy Clements. I’m not a great fan of Schoenberg at his grittiest but I love Pelleas and this recording does it full justice. The concerto is a tougher nut – more challenging than the Berg with which it’s sometimes coupled – but this recording might win me round. 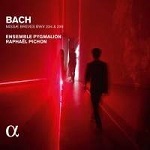 From eclassical.com (mp3 and lossless, with pdf booklet). Mieczyslaw WEINBERG (1919-1996). The Concertino, Op.42, for violin and string orchestra, Rhapsody on Moldavian Themes, Op. 47/3, for violin and orchestra and Symphony No.10, Op.98, for string orchestra are performed by Ewelina Nowicka (violin) and the Amadeus Chamber Orchestra of Polish Radio conducted by Agnieszka Duczmal (Opp. 42 and 47/3) and Anna Duczmal-Mróz on CPO 777887-2 – from eclassical.com (mp3 and lossless, with pdf booklet). BEULAH have added two more selections of French Music. Music of France 3, combines Adolphe ADAM the Büsser abridged version of Giselle (Paris Conservatoire Orchestra/Albert Wolff, 1958 stereo) with an incongruous bedfellow, François COUPERIN Les Concerts Royaux No.3 (Camerata instrumentale der Hamburger Telemann-Gesellschaft, from DG Archiv, 1959 stereo) on 3PD87 – from Amazon UK or iTunes (both mp3). The Wolff recording of Giselle is something of a classic if the abridged version is enough. I haven’t heard the Australian Eloquence reissue on a 2-CD set with other music that you may not want, but the Beulah transfer makes the recording sound much better than when I last heard it on a Decca Eclipse LP and this release is well worth having for Giselle alone. I hadn’t heard the Couperin before but the performance is rather joyless and the sound somewhat thin. Music of France 4 offers a more coherent programme and one which I enjoyed: Maurice RAVEL Boléro (Paris Conservatoire Orchestra/Albert Wolff, 1958 stereo), Darius MILAUD La Création du Monde (Paris Conservatoire Orchestra/Georges Prêtre, 1962 stereo), Claude DEBUSSY Nocturnes (Concertgebouw/Eduard van Beinum, 1958 stereo) and Francis POULENC Organ Concerto (Maurice Duruflé, French National Radio Orchestra/Georges Prêtre, 1961 stereo). The performances can hold their heads up with the best and the transfers belie their age. (4PD87 - from Amazon UK or iTunes, both mp3). 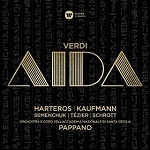 Finally, I predict that I shall be making the new Warner recording of VERDI’s Aïda, with its starry cast directed by Antonio Pappano, a Recording of the Month. With the 3-CD set on sale for as little as £12.99 from one supplier I can recommend streaming from Qobuz, with booklet, but I have yet to find a lossless download source that costs less or even the same as the CDs. Even in mp3, the 7digital.com price of £12.49 – with pdf booklet – will save only pence. £11.99 from sainsburysentertainment.co.uk looks more tempting, but the bit-rate is only 256kbs and there is no booklet.